Nepal has undergone monumental changes in the last one decade: from a kingdom to a republic, from a unitary state to federal set up and from the Hindu state to secular politics. Under the new constitution that enshrines these ideals, general elections have been held and governments have been formed in local, provincial and federal levels. With this political restructuring, the expectation is that the country should march to economic prosperity. But the changes alone, though positive for democracy, do not guarantee economic prosperity. 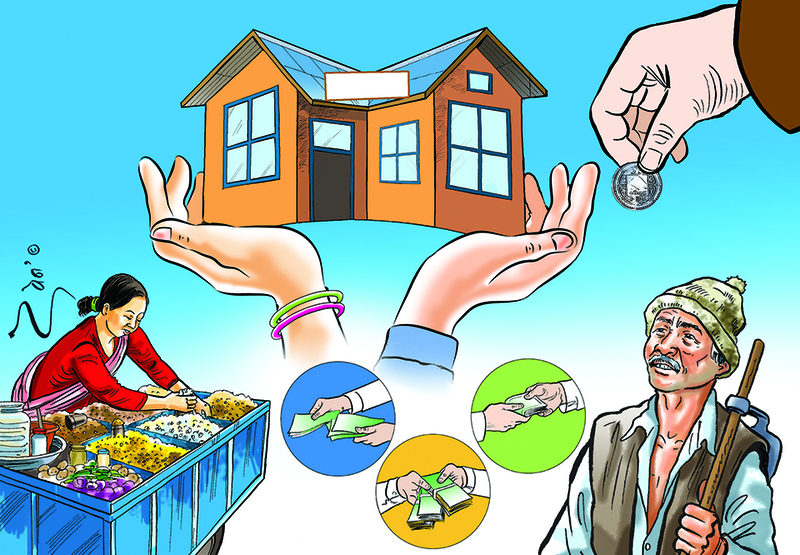 Creating a dynamic and vibrant economy requires drastic changes in economic policies that have the force to shake up the perplexingly inefficient and inequitable system that Nepal has endured. Post-election was the right time to launch such an economic restructuring. But it has not happened so far, and there is no sign of it happening anytime soon. 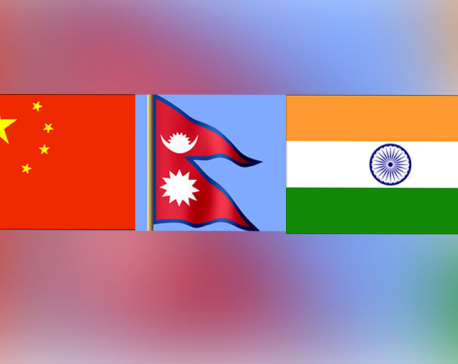 Different arguments can be made to show how badly Nepal needs economic growth, but comparing its economic performance with its immediate neighbors—China and India—offers an insightful understanding. In fact, it is more sensible to compare with them because Nepal’s future will be shaped very much by how it fares vis-à-vis these two countries. Nepal’s laggardness is astoundingly disturbing. In the 1980s, an average Chinese or Indian was as equally poor as an average Nepali. Today, an average Chinese is six-times richer and an average Indian is two and half times richer than a Nepali. It means if Nepal’s income grows at the same pace as in the past, it will take 70 years for a Nepali to be as rich as a Chinese today and 35 years to be as rich as an Indian today. There is no time for complacency. Actions are urgently required for generating higher per person income, which is dependent on combination of three things: (1) labor force participation rate— share of labor force (people above the age of 15) in total population (2) employment rate—share of employed in labor force, (3) labor productivity—value of production that an average worker generates at a given time. Since income growth is determined by these three factors only, the way to build a prosperous nation is by targeting public policies to increase the value of each of them. Take the first. Because of the large exodus of youth for manual work in foreign countries, the labor force participation rate is low and further dwindling. Although the remittance they send, equal to 30 percent of Nepal’s total production, has provided immediate relief to their families, it has eroded Nepal’s long-term production base by misallocating resources in the sectors that do not provide much social value. Had these people been working in Nepal, production could have been expanded by about 15 percent. Despite the exodus, for the remaining workers the employment rate is low. There are no off-farm jobs: Most are employed either part-time or unemployed. A back of the envelop calculation using a Labor Force Survey shows that the unemployment rate is 20 percent, implying that had they been employed, the country’s income would have been higher by 20 percent. Since both these determinants are about employing more people, once a country achieves full employment, there is no room to improve on them. Therefore, in the long run the only way to raise the standard of living is by improving the third factor—labor productivity, a limitless growth booster. Labor productivity growth is not about adding jobs. It is about working smarter and producing more in a given time. Nepal’s labor productivity is one of the lowest in the world. The lower labor productivity in Nepal is the reason for large part of income gap between Nepal and its neighbours mentioned above. In the developed countries, raising labor productivity is taken as the single most important policy challenge. Nepal should do the same. To understand how to boost labor productivity, we need to evaluate its determinants, which are several, but let me discuss a selective few here. First, productivity depends on the amount of capital (tools, equipment, machinery, computer, buildings, infrastructure such as roads, electricity etc) a laborer uses. Since capital is formed from investment, and it is low in Nepal, so is capital. Having spent most of the budget in operations, the government invests only about 20 percent on infrastructure. Household saving is poured into real estate because of the policy-induced higher return on this sector which does not form capital. Lack of bond and equity financing constrains company investment. Second, longer years of schooling and quality education are instrumental for better productivity. 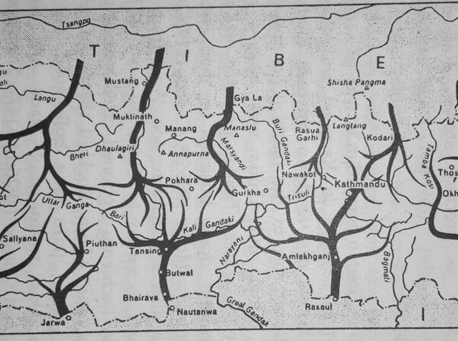 Nepal’s failure in this area is staggering. The education standard in public school is lower than what it was 40 years ago. Those few who excel exit for better opportunities. Those who remain are misallocated due to foreign aid in activities that do not improve productivity. Third, innovation— cutting cost of production or producing new goods and services—is the ultimate lever for productivity. The zeal for innovation and its input research and development (R&D) that is so strong in other countries is completely missing in Nepal. Fourth, allowing free entry in business and enforcing competition is vital for productivity growth. The syndicate system that has wrapped Nepal is the worst nightmare. Fifth, smart regulation enhances productivity. But there is a plethora of inefficient regulations and bureaucratic hassles that make Nepal one of the most difficult countries to do business with. Sixth, participation in export market makes labor more productive as companies can expand the production of goods and services that they are relatively better at. But Nepali companies are increasingly exiting foreign markets. And the lack of foreign companies deprives domestic companies from learning the technology. Finally, productivity is enhanced through institution that encourages hard work, honesty and discipline, which is lacking in Nepal. For Nepal to be prosperous, people should have the opportunity and motivation to excel. Business must have the impetus to serve and create value. 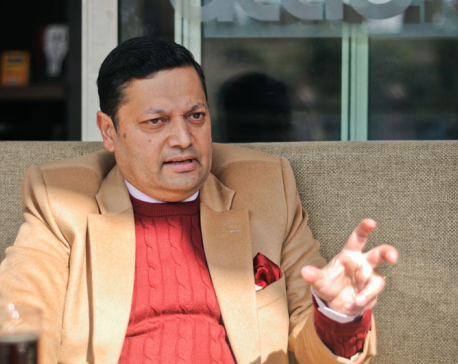 The government must have the courage to reverse the course from the overriding existing mantra of what other countries can do for Nepal to what Nepal can achieve by itself. To correct the deficiencies discussed above and create a conductive environment for growth, changes in numbers of policies are required. No space to discuss those polices here. But, we will know that the country is on a path to prosperity only if, at least, the following milestones are achieved. First, the incentive to go to foreign countries for manual jobs does not exist. Second, job creation is the first criterion for every government program selection. Third, government operating cost is slashed by 20 percent and redirected to infrastructure. Fourth, investment return in real estate, schools and hospitals is lower than in other sectors. Fifth, quality of public education is as good as that of private schools. Sixth, private companies are incentivized to spend one percent of their sale on R&D. Seventh, Nepal is one of the top 50 easiest countries to do business with. Eighth, Nepal is connected by all-weather roads with China, and Nepal supplies about 0.2 percent imports of both China and India. Ninth, there is a clear formula-based financing to the provinces. Finally, everybody is equal under the law.